From artificial intelligence to the Internet of Things, cutting-edge technology is transforming retail for retailers and customers alike. Retailers need the right tools in the back office and on the sales floor to take full advantage of high-tech innovations and prepare for what’s next. Here are some scenarios where retailers can make the most of innovative technology to deliver the type of experiences shoppers desire. Chatbots are an effective way to engage customers 24/7 in real time and on any channel. 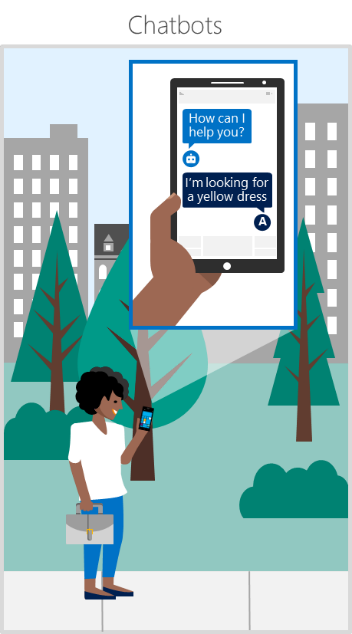 Through a simple conversational interface, bots can help customers find what they are looking for, locate and reserve items in a store, or make a purchase, all while capturing customer sentiment. For retailers to successfully implement a bot interface, they need to be able to instantly provide up-to-date information about products, promotions, and inventory, whether the customer is using web, mobile, or social. The next level of chatbot engagement is personalization. To deliver persuasive product recommendations, retailers need a cross-channel view of the customer’s wish list and preferences, including social media activity. Suggesting a new tent to an outdoor enthusiast for example, instead of the sleeping bag they recently bought in store, is clearly more likely to result in a purchase. 77% of consumers have chosen, recommended, or paid more for a brand that provides a personalized experience. While mobile and social engagement are important, over 90% of sales still take place in physical stores. 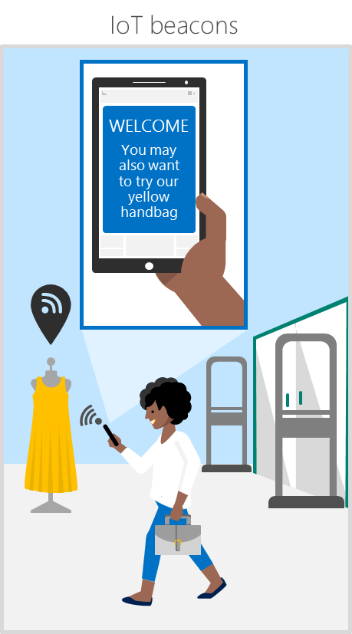 In-store IoT beacons enable retailers to recognize when a mobile app user is nearby and send them personalized notifications or offers. While 47% of shoppers want to receive real-time promotions like this, only 7% of retailers have the capacity to offer them. Alerting shoppers to current sales and new stock is a good start, but to really boost conversion rates, retailers need to provide personalized experiences like offering a deal on an item that has been in the shoppers' digital shopping cart for a while. A deal that could nudge them toward a final purchase. Recommendations and promotions can be tailored even further using third party data like location, events, weather, and more. In-store devices are part of an enhanced store infrastructure that drives interest among customers and yields valuable insights for retailers. To make this infrastructure worth the investment, retailers need a solution that includes full cross-channel customer history, up-to-date product and inventory information, and the power of machine learning. 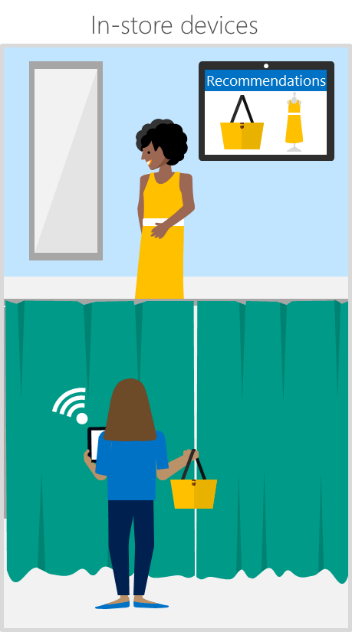 For example, tablets in fitting rooms allow customers to browse products or request a different size at the push of a button. With RFID readers, the tablets can recognize what a customer brings in and recommend products tailored to their preferences. Furthermore, the devices collect valuable insights, like which items customers are trying on but not buying, or how customers are rating and reviewing the items they try on. Outside of the fitting room, employees with mobile devices free customers from the checkout line and ensure they receive better-informed service. How do retailers keep up as today’s cutting-edge becomes tomorrow’s norm? As retailers ingest an increasing volume and variety of data from digital channels, they need to move on from disconnected legacy systems. With an integrated solution that collects and analyzes cross-channel data effectively, retailers are better able to facilitate exceptional customer experiences. Microsoft Dynamics 365 for Retail is a true end-to-end omnichannel solution that delivers out-of-the-box analytics and full visibility into products, inventory, demand, and customers. Not only does it enable retailers to engage customers in innovative ways, but it streamlines business and data management activities.